A dish that always reminds me of autumn is apple pie. I've grown up with apple trees in the garden and come the beginning of the season, we would pick them and prepare them, ready to be used in an abundance of different apple-based desserts. 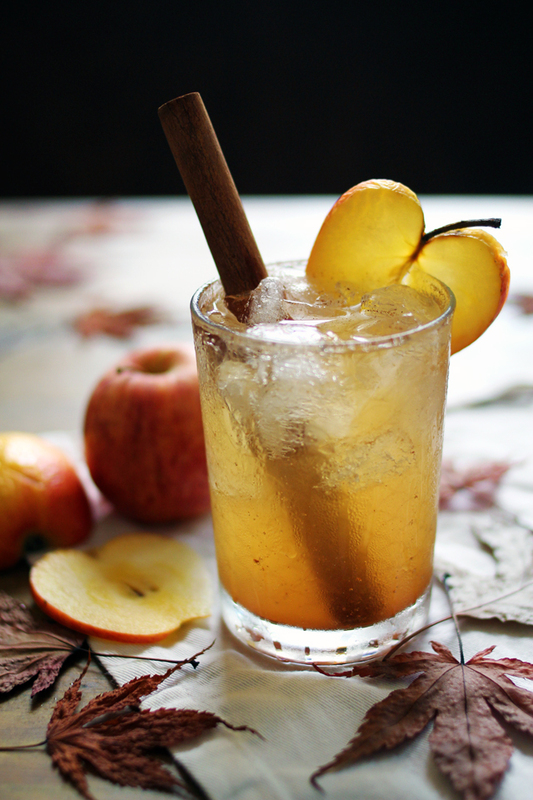 Żubrówka vodka, a Polish spirit and also known as Bison Grass Vodka, pairs ridiculously well with apple juice and combined with the addition of cinnamon, the warm, vanilla and nutty flavours of the vodka really do make it taste like apple pie in liquid form. I imagine drinking it in front of a roaring fire, wrapped up in a snuggly, woolly jumper. That is if I had a fireplace...That aside, this is the epitome of an autumnal cocktail and one that I imagine I will be reaching for most weekends this month. 1. Add all of the ingredients along with a few ice cubes to a tall mixing glass or cocktail shaker and shake well to combine. 2. 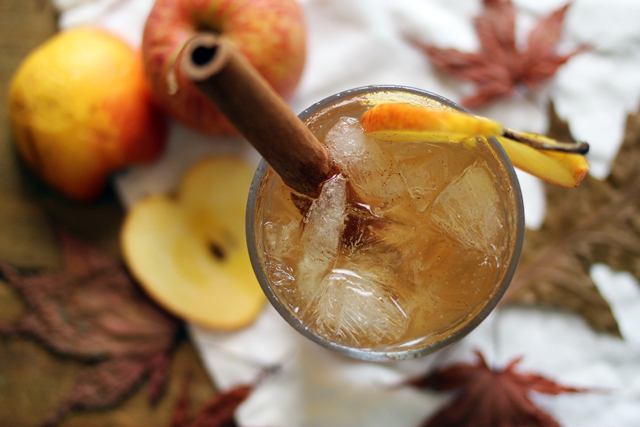 Pour into a tumbler and garnish with a cinnamon stick and slice of apple. Albeit optional, I highly recommend using a cinnamon stick as a cocktail stirrer or makeshift straw (emphasis on makeshift), stick permitting, as it can add to the cinnamon flavour and can be quite a novelty if you try and drink through one. I'd love to know if you'd like to see more seasonal cocktails like this one, please let me know in the comments below and as always, if you decide to have a go at making this I'd love to know what you think. Yum, that looks so good! 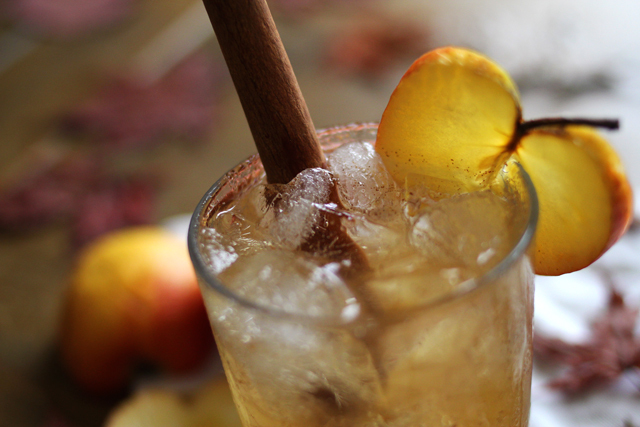 I for one, would love some new cocktail recipes, especially some fall inspired ones. My hubby and I have our good ole standbys, so it would be nice to give some new ones a go! I have to try this. I love vodka, I love apples. It is a win win situation in my mind. That looks so delicious - I love apple.